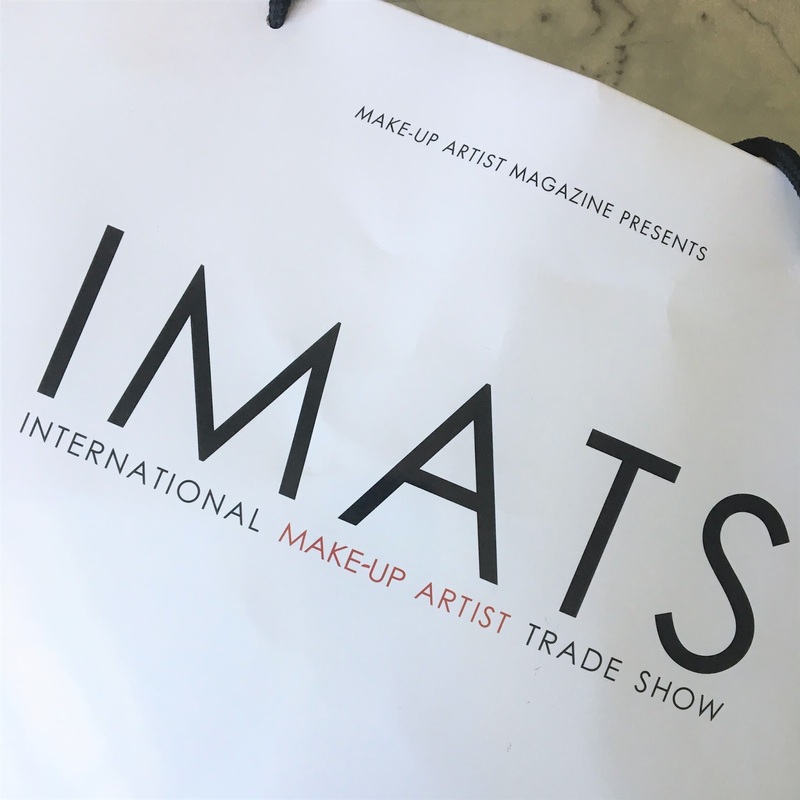 IMATS was held in the Royal Hall of Industries at Moore Park in Sydney on July 22nd and 23rd 2017. For those of you not local it is approximately a 10-15 minute drive out of the Sydney CBD and easily accessible by public transport. I arrived at about 9:30 and as expected there was a queue to enter but we were only in it for about 15 minutes so it wasn't too bad. Once I was inside my ticket was scanned, ID checked and I grabbed a bag and program and got stuck in. That first part can be really overwhelming as there are people and booths everywhere. My sister and I decided to start at one end and just slowly make our way up and down the aisles until we'd seen every stand. There were so many amazing brands in attendance, some familiar and some I'd never heard of before. If I tell you about everything this will be a super long post so I'll just get straight in and tell you what I bought. A couple of the brands gave out freebies with purchases and I received an OCC Lip Tar when I purchased the RCMA powder and a mini eyeshadow sample and cream sachet from Inglot. I really enjoyed my time at IMATS. I spent a good 2-3 hours there just looking at and swatching products and listened to a couple of demos and talks which were really inspiring. One of the brands that caught my eye the most was Matticulous World. I hadn't heard of this brand before and I'm kicking myself now that I didn't pick anything up but their highlighters are out of this world (both liquid and powder) and they do a build your own eyeshadow palette similar to Inglot that was beautiful too. The products were really well priced and seemed like great quality. I was quite disappointed in the Morphe products at the Makeup Net stand. They were selling the 35 Eyeshadow palettes for $40 which can be picked up at Beauty Bay currently for $38 so definitely not a bargain there. There was a really big queue for the Limecrime and Gerard stand but these are quite easily accessible online so I didn't bother lining up for those. The MAC stand was really busy as they had a blanket 20% off everything but the girls were super helpful and I was in and out with what I wanted in less than 5 minutes. The other place with a massive queue was NYX as they had 40% off everything but nothing intrigued me enough to bother queueing up. Hakuhodo was one of the ones I was most looking forward to looking at as they have the most luxurious makeup brushes. I knew they were going to be expensive but I wanted to at least pick up one brush. The number of brushes and different types of hair for each brush was quite overwhelming so I spent most of my time just looking at the eyeshadow brushes and picked one that I thought would be quite versatile. It's super soft and I can't wait to try it out. There were no special guests this year even though they had advertised that Kat Von D would be there she must've pulled out which is a shame. The Sydney IMATS definitely has nothing on the US or UK ones which have way more brands, better pricing and more '"famous" people. I mean heck I didn't even see any popular beauty bloggers there haha. That didn't really bother me though, I'm not the type of person who would line up to see a celeb or famous makeup artist but it would be cool to see some way bigger brands come over from the US. If you want me to review any of these products please do let me know and I'll write them up as I start using them. Stay tuned as later in the week I'll be writing a post on Tips & Tricks for attending and getting the best out of IMATS as well as the pricing and if it's really worth it. My ticket cost me around $45 for IMATS and that was the early bird price + fees, tickets at the door cost $60. Let me know if you went to IMATS too, I love reading about other people's experiences. Well done. Your haul is very tame. I've been to IMATS in the past and its good but not great. I think its so easier to buy online now and get great deals that you don't really save anything by going to IMATS. If they had some great guest speakers or demos I think I would consider going again! One day I will get there! I really want to go but I hate big crowds so it terrifies me a little bit. Great haul by the way. Ive never been but always say next year. From what I have heard it seems crowds are dying down more and more each year. How amazing would it be to attend one of the US ones! I love the Pro concealer. Also so jealous you got to attend IMATS! I was shocked at how un-crowded it was. I went on saturday this year which is usually the busiest, but last years sunday was far more crowded than this years saturday. The line at morphe was gone by around 11am, same with macs crowd. I got there late and just walked right in.